Inspiration often comes from the unlikeliest of sources. 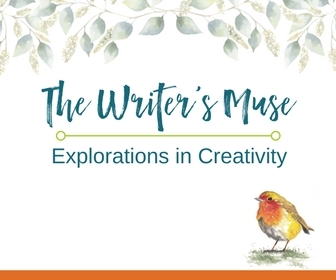 In The Writer’s Muse: Explorations in Creativity, an online course hosted through The Loft Literary Center, we will observe, explore, collect, study, and compare. We’ll move through the world as writers—noticing and documenting the world around us. This class offers guided exercises for beginners, anyone who is “stuck,” and writers trying to take their work to the next level. You’ll cultivate your curiosity to get words on the page and inspire you to keep going! Find form for your ideas, develop them into a piece of writing, and make them better. The explorations will help you lay the foundation for more significant writing projects in a supportive, encouraging environment. Consider this class a mini writing retreat with exercises, readings, and guidance. We’ll have fun as you expand your writing skills to produce more satisfying work. This class is for both beginners and more experienced writers of fiction, essays, memoirs, and narrative nonfiction. If you liked Elizabeth Gilbert’s Big Magic, you’ll love this class that will help you implement those ideas! REGISTRATION IS OPEN! Class will be held online from January 23 – March 6. More information is available at The Loft Literary Center. Each year the Loft engages more than 3,000 beginning, intermediate and advanced writers in learning opportunities, hosts more than 100 authors in readings and dialogues that draw more than 10,000 people, connects with more than 160,000 unique visitors through digital resources on our website, collaborates with at least 30 local and national organizations to enrich the literary environment and, through contracts, awards, and grants, pays writers more than $400,000. In their evaluations, 96% of students report that their class helped them improve their writing, 91% identified their next steps as a writer, and 94% would recommend their class to others. Visit the course catalog with a complete list of classes in poetry, nonfiction and fiction.